Please note Andrea ModLash Strip Lash Mega Curl #92 is currently out of stock; Item will be available again shortly. 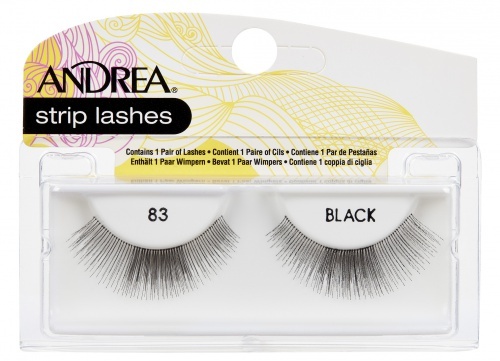 Andrea Permalash Individual Lashes Regular Knotted Singles Medium Black: a few strands of slightly flared lashes grouped together for easy length and volume customization. Andrea Permalash Individual Lashes Regular Knotted Singles Short Black: a few strands of slightly flared lashes grouped together for easy length and volume customization. 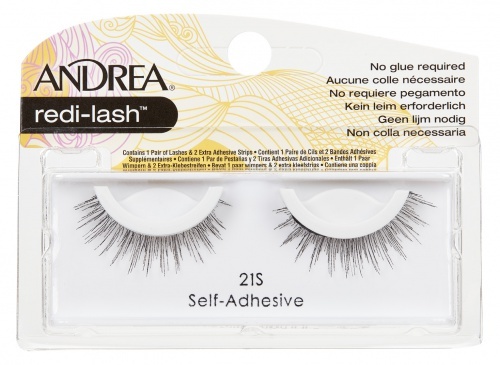 Andrea Redi-Lash Self-Adhesive 33 (also known as 33S) Lashes is light-weight, comfortable, and easy to apply. Strip lash #33 is a lush lash style that is dense and bold with slight winged-corner edge for a subtle yet stricking effect! Andrea's Redi-Lash Lashes combine fashion with function for a quick and convenient way to have the long, luscious lashes we all wish we were born with. Andrea Professional Redi-Lash Self-Adhesive 45 (also known as Redi-Lash 45s) Lashes is light-weight, comfortable, and easy to apply. Andrea's Redi-Lash Lashes combine fashion with function for a quick and convenient way to have the long, luscious lashes we all wish we were born with.